Ivan has an ambitious plan. 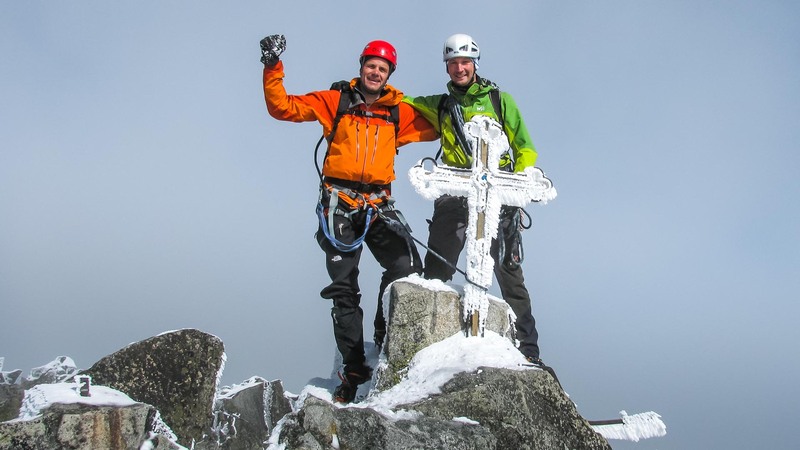 He wants climb to highest peaks in all European countries. It is almost 50 peaks. He is just on the start of the journey. Ivan has an ambitious plan. 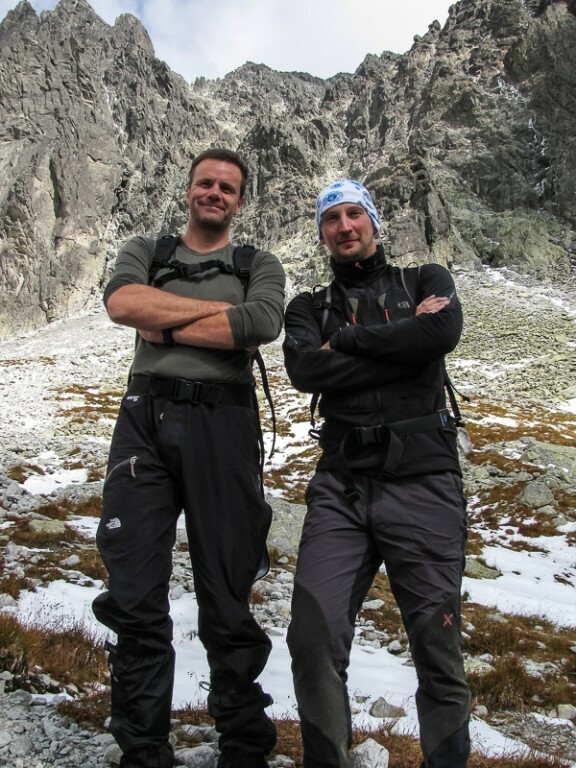 He wants climb to highest peaks in all European countries. It is almost 50 peaks. He is just on the start of the journey.Ivan contacted me in the beginning of the summer. 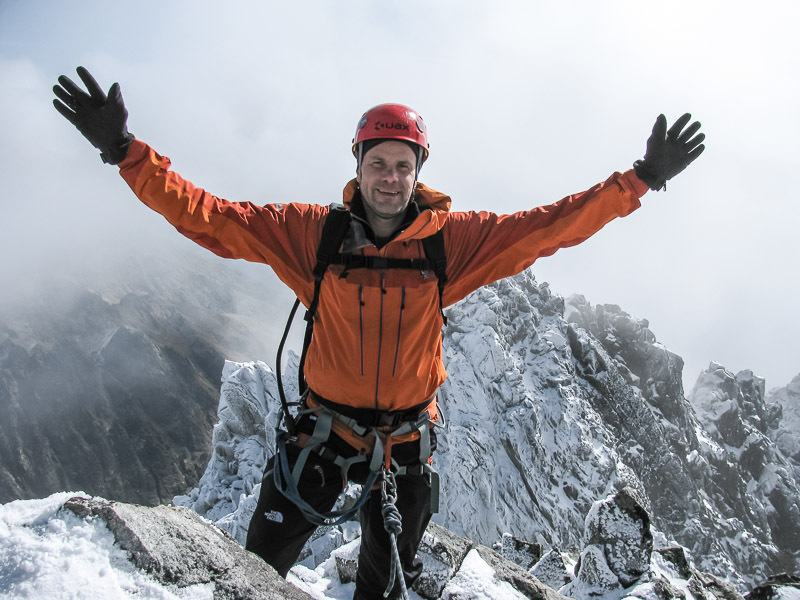 His plan to climb the highest peak of Slovakia - Gerlach (2,655 m) and Poland - Rysy (2,503 m) should be combined with climb to majestic double-summit of Vysoká (2,547 meters). His health problems with back moved this trip to autumn. 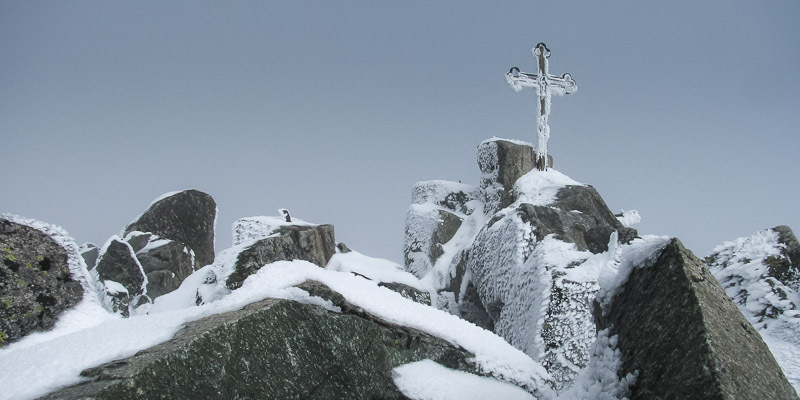 In the week before his arrival in the Tatras began snowing. A vision of ideal weather was missing. The starting point for the first climb became Majláthova cottage on the Popradske lake. Weather in the morning was not so bad. So we walked to Zlomiskova valley. 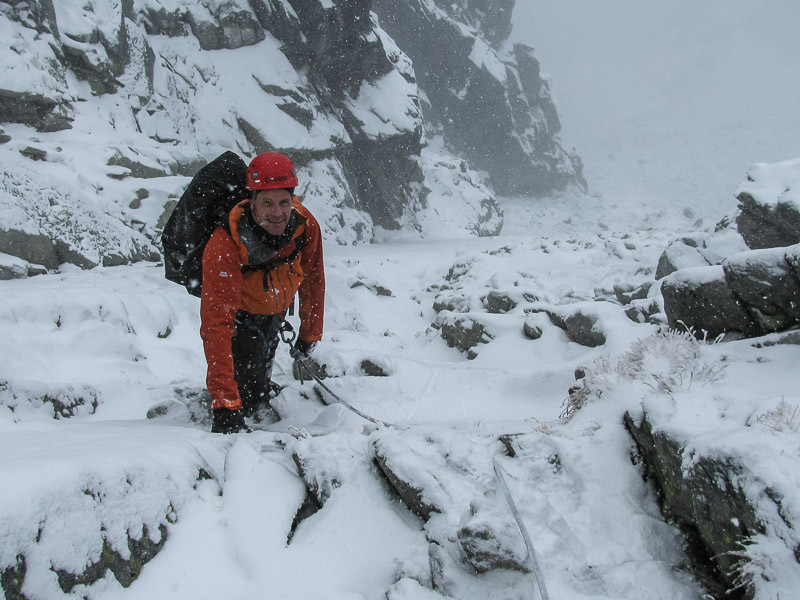 In the Dracie (Dragons) saddle, conditions have changed significantly. It started snowing heavily and soon enveloped the country under white feathers. 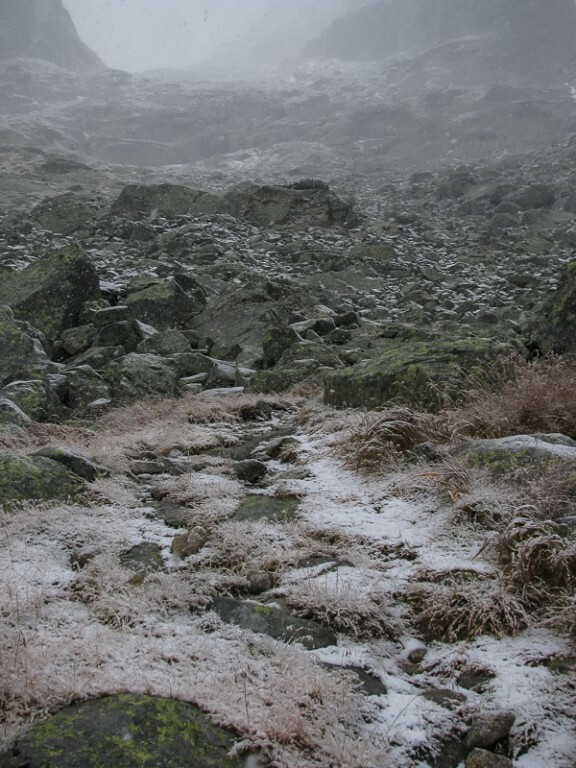 Climb to summit Vysoka was not good idea. So we continued further through the saddle called Kohutik. In summer it is a terrain without any serious complications. Now it was certainly not the case. 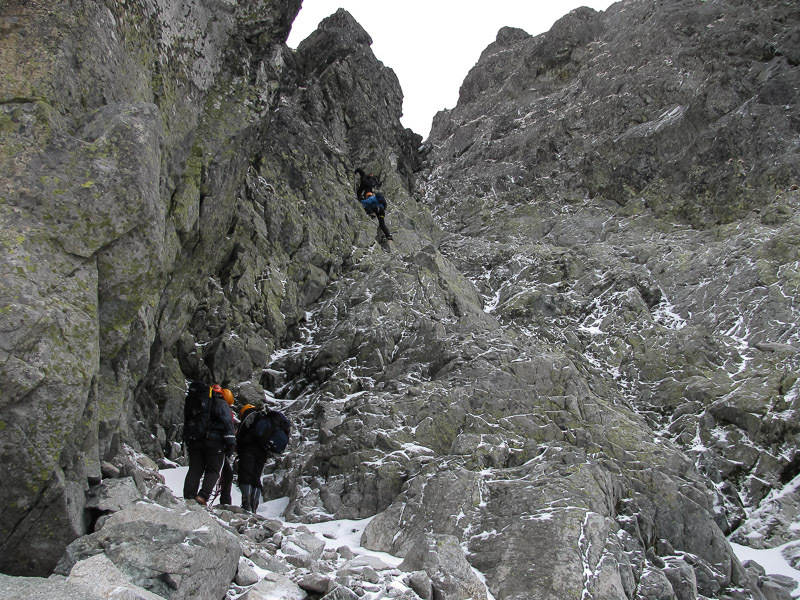 Descent from the saddle resembled genuine winter alpinism. Ivan it climbed very well. 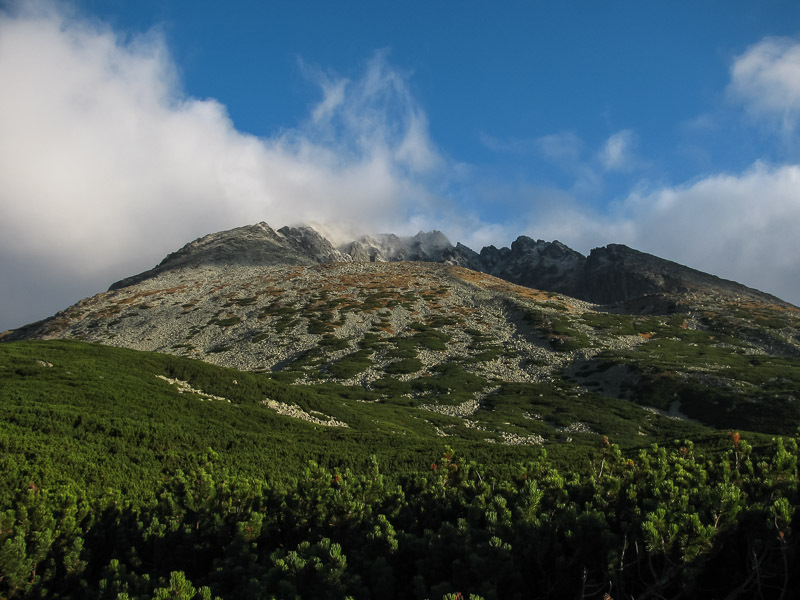 From the saddle Vaha is terrain not so difficult to climb highest peak of Poland. We thought it. Snowfall and strong winds changed it. 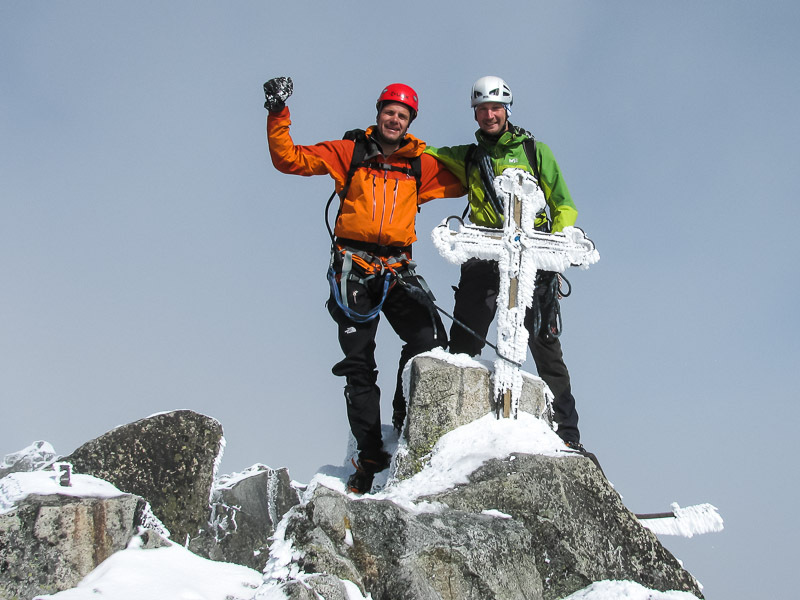 We continued to real alpinism up to the highest summit in the Poland - Rysy. We did it. Now quickly to the hut below Rysmi and then to hotel Sliezsky dom under Gerlach, our next summit. 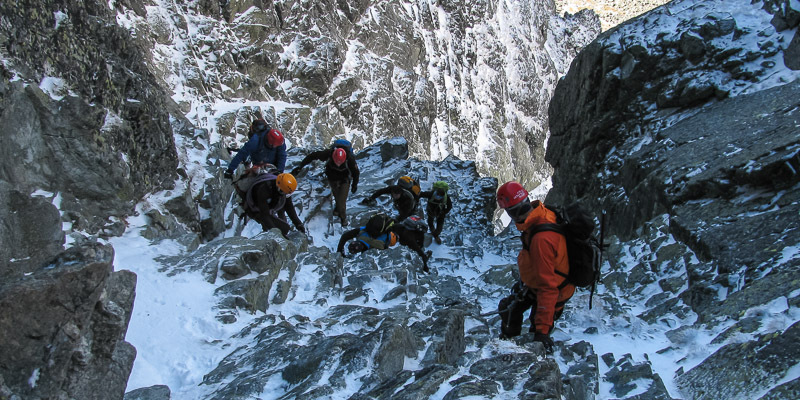 Finals like from big book of alpinism. Weather was sunny and stable. 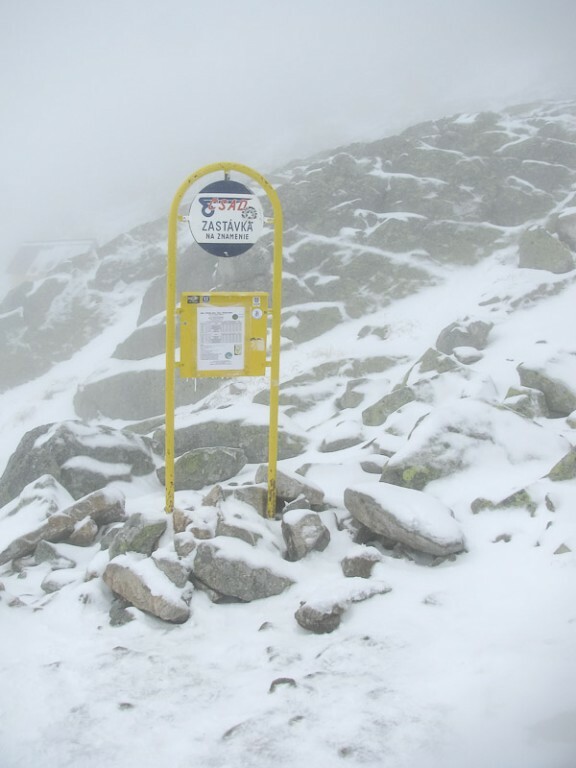 Ideal for climb to highest peak of the Slovakia. In the altitude over 1800 meters is some snow. We started at a fast pace and we climbed it in very good time. Excellent day for a birthday. Happy birthday Ivan! Two days and two summits. One more. Highest peak of Hungary - Kékes (1,014 m). He will climb it without mountain guide. 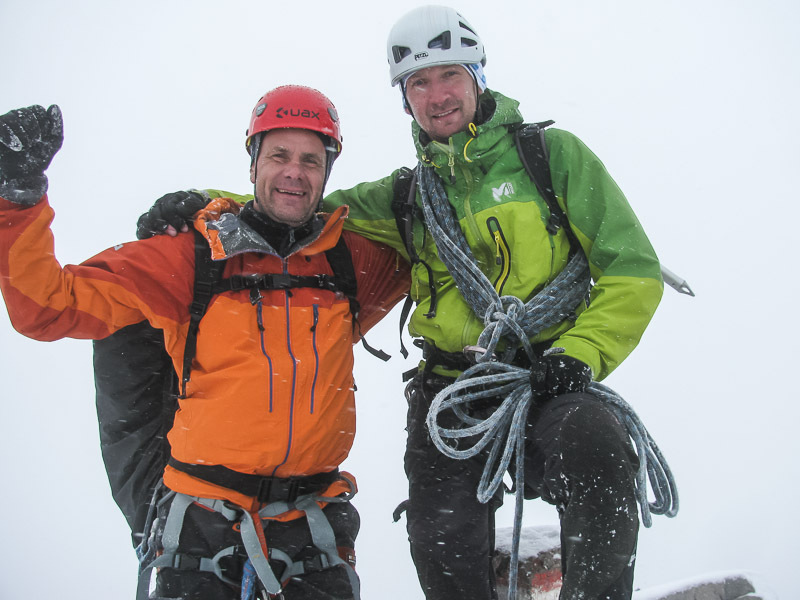 Ivan, I wish you good luck for other highest summits in the Europe! Maybe, some of them we will climb together.